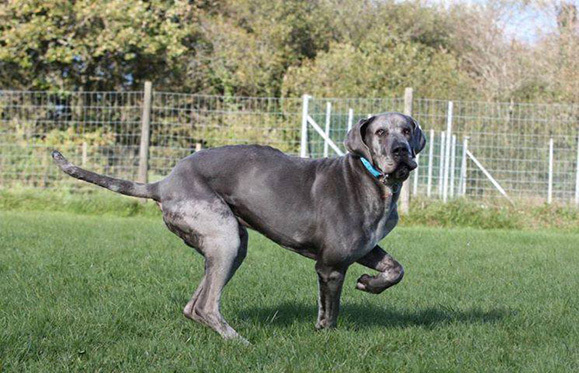 Below are BELAH and BRIAN, two of the Danes in our care, who are urgently looking for new homes. Can you help? We do have other dogs in foster homes – please call for details. All of our dogs are in FOSTER CARE all over the UK, we DO NOT use kennels. Our foster homes are spread right across the country. 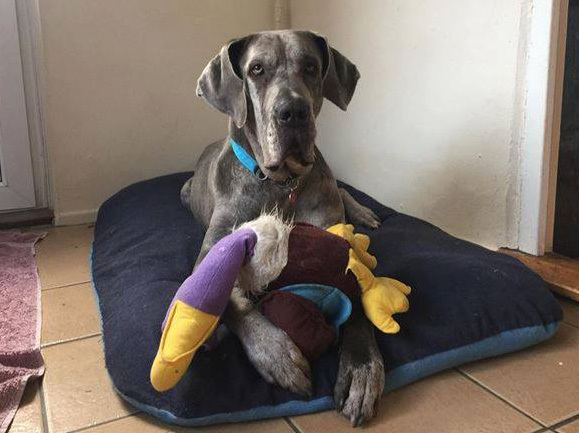 Please contact us if you are interested in adopting one of our Danes or wish to discuss any aspect of the adoption process. 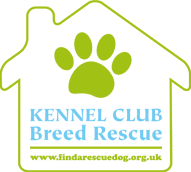 To enable us to start making informed decisions we will ask you many questions and then we can arrange a mutually convenient time to come to see you. 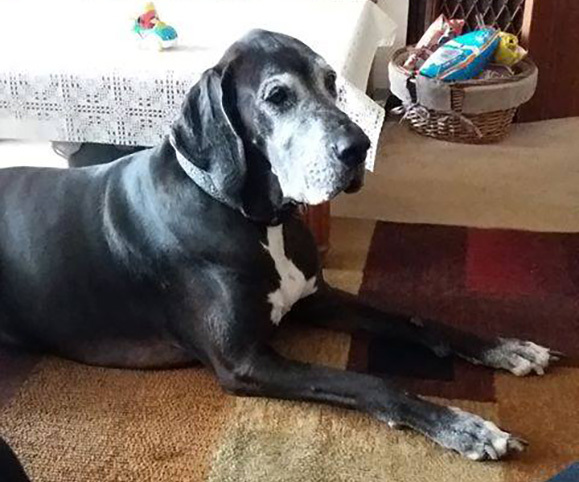 Our comprehensive assessment enables us to match the Dane to his or her new home. 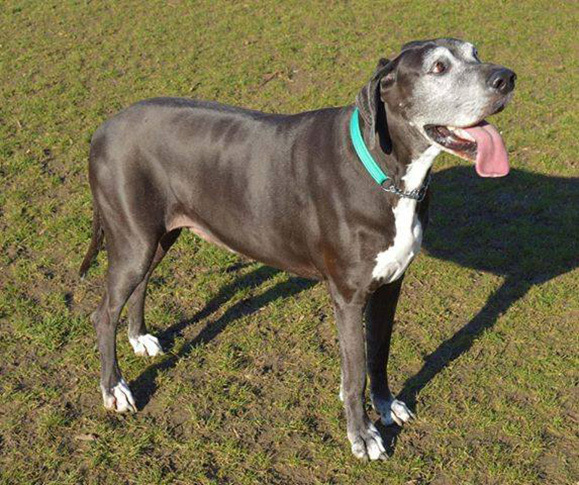 If you feel that you can give a loving home to either Belah, Brian or another Great Dane, please call Daneline for details of the dogs we have in at present, on the numbers above. This is the lovely Belah. She is 6 years old, spayed and up to date with her vaccinations. Belah still loves to run and play. 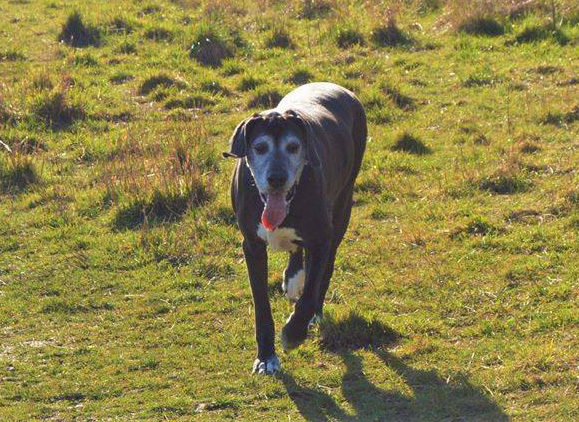 Her recall is good and walks fairly well on lead. She is good with cats and dogs and she can be left alone with no issues. Please call Lissi on 01179 723 343 or Sue on 01823 330 591 for any further information on Brian. If you call and there's no answer, please leave a message with your phone number and we WILL call you back! 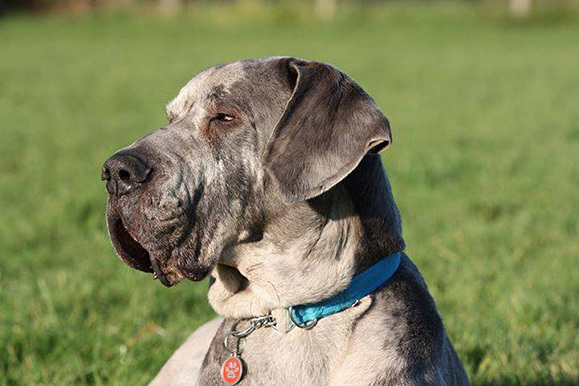 Meet Brian, a 5 year old Merle castrated boy who is looking for a home. Brian loves his walks so that he can run and play. He is a very affectionate boy who adores human company of any size. He walks beautifully on a lead but needs to be introduced nicely to other dogs before he can be let off lead to play. Brian is looking for a home with no cats and an experienced dog owner who is prepared to put in time socialising him with meet and greet.